Matt Camron Rugs & Tapestries is among the nation’s top purveyors of luxury textiles, offering a vast inventory of antique rugs, antique-inspired rugs and original designs. Founded in 1980, the company has showrooms in Houston, Dallas, Chicago, Denver and Washington D.C., all of which have become go-to destinations for the interior design industry. Owing to its deep relationships with master weavers around the world, Matt Camron offers a wide range of custom capabilities. 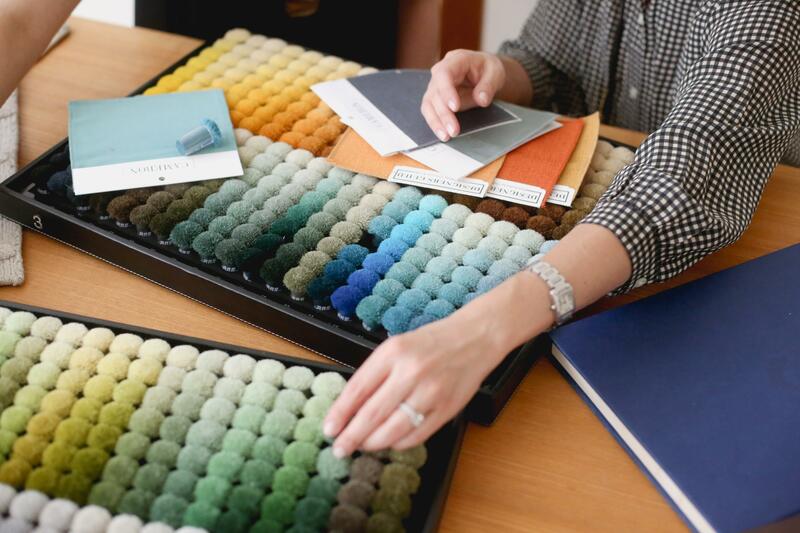 Whether inspired by a traditional Persian rug, vintage kilim or contemporary motif, the experts at Matt Camron are dedicated to helping clients individualize any rug to meet color, size and design specifications. A thoughtful commitment to responsible production and customer satisfaction has led Matt Camron to work alongside notable clients like President Barack Obama and the Ritz Carlton. 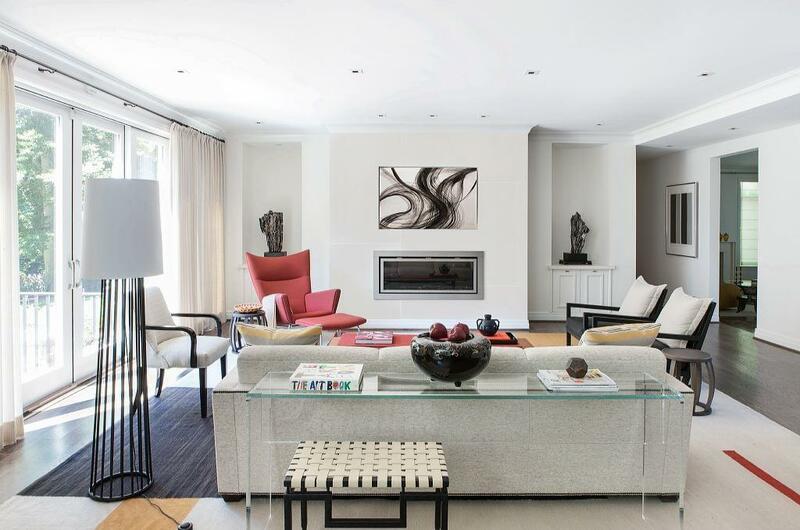 Beyond homes across the globe, Matt Camron designs can regularly be found within the pages of Architectural Digest, Elle Decor, Veranda and more. Matt Camron Rugs is a family owned and operated business founded by Matt Esfahani. After graduating with a degree in electrical engineering from Auburn University, Matt quickly built a reputation nationwide as a dealer of rare and collectible antique carpets. He later used his expertise to begin his own design and production of fine rugs and is now recognized as a leader in the luxury rug industry. Matt frequently lectures on the history of antique rugs, as well as contributes to home design magazines like Veranda, Milieu and Southern Accents. He is also a longtime member of the International Society of Appraisers. Matt’s wife Jennifer serves as a creative consultant to the company. Together, they donate their time to various arts and cultural organizations in their local community. Both are among the Founding benefactors of the Arts of the Islamic World at the Museum of Fine Arts, Houston (MFAH). Jennifer is also a longtime docent at the MFAH’s Bayou Bend Collection, which houses one of the world’s foremost collections of American antiques. Sarah Esfahani Tringhese, a Houston-native and Matt’s daughter, joined the Matt Camron business in 2009 after graduating first from Episcopal High School and subsequently from Tulane University with a degree in Business and Art History. Prior to Matt Camron, she worked as a consultant for Price Waterhouse Coopers in Los Angeles. When not helming her position as creative director for the company, she can be found working alongside her parents at the MFAH. Elizabeth Esfahani, also Houston-native and Matt’s eldest daughter, is a graduate of St. John's School, Georgetown University, and the Johns Hopkins School for Advanced International Studies. Following a successful career in journalism and politics, she joined Matt Camron in 2013 to run the AfghanMade Project. She has made several trips to Afghanistan with her father to work with local weavers, and she has presented the resulting Matt Camron AfghanMade Collection to buyers and the design community in New York, Paris and Milan. She now manages the Matt Camron gallery in Georgetown, Washington D.C.
All rugs are created by hand in Matt Camron operated workshops around the world, each with its own weaving speciality. To ensure ethical production of the rugs and lasting relationships with the artisans who make them, owner Matt Esfahani and his production team visit the locations regularly. 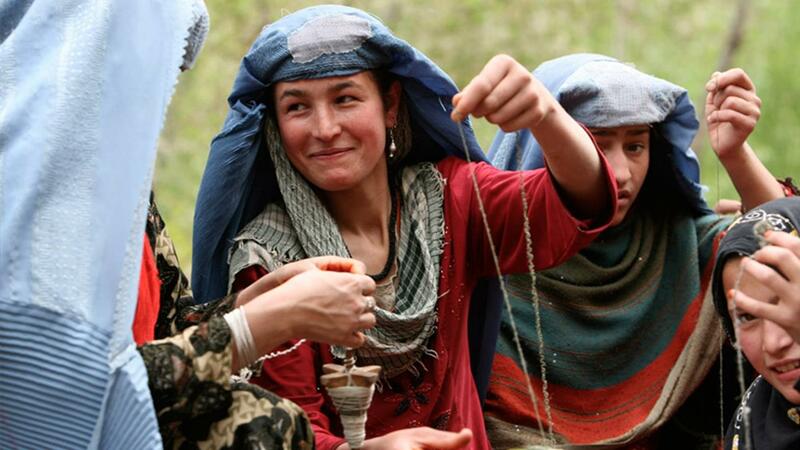 As a result of the AfghanMade Project, which you can learn more about in A Promise on Production, Matt Camron employs a network of small workshops and thousands of home-weavers, most of them women, in Afghanistan. Additionally, Matt Camron operates large-scale, dedicated workshops in Egypt and Nepal. In each workshop, Matt Camron maintains its commitment to preserving the tradition of handmade carpets. 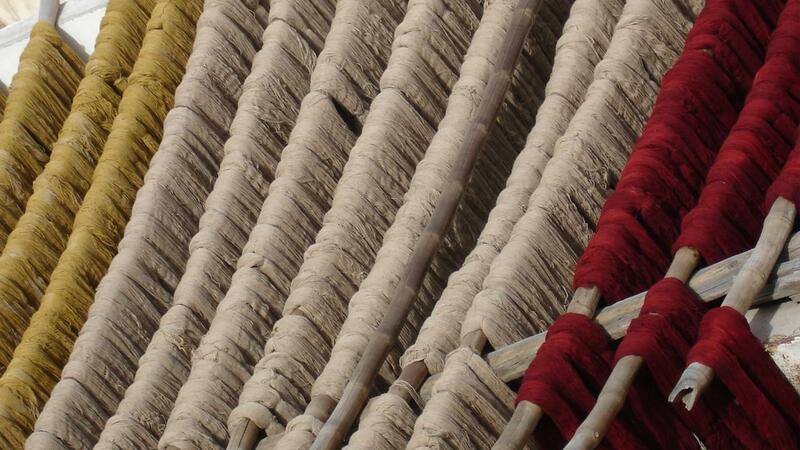 To this end, each rug relies on the skills of its many artisans. The company uses only wool and silk (most of which is locally sourced) that is hand-dyed, hand-spun, hand-washed and hand-finished. Matt Camron weavers then employ the same methods that have been used by master artisans for centuries. They are skilled in over 10 weaving techniques, from Oushak knots to tight Persian knots, contributing to Matt Camron’s diverse and exciting inventory. Each stage requires the utmost attention to in order to create textiles with an authentic and luxurious look and feel. Matt Camron cares about the weavers who sit behind its looms, and the company stands firmly against poor and restrictive working conditions. A vast majority of weavers in Afghanistan, Nepal and Egypt are women whose careers support entire families. Matt Camron provides looms that can be used inside the home so working mothers can tend to their familial obligations and professional lives at the same time. By allowing weavers to work at home, Matt Camron hopes to foster the financial independence of its artists. Matt Camron is also committed to weavers’ professional growth. Daily guidance and continuing education are offered by Matt Camron supervisors in each field, so artists can learn advanced techniques that will provide them with a competitive edge. In 2009, Matt Camron embarked on a multi-year partnership with the U.S. Department of Defense to help a war-torn Afghanistan reclaim its reputation as the luxury carpet capital of the world. The initiative created around 8,500 new jobs for women, and resulted in Matt Camron’s premiere AfghanMade Collection — a reimagining of classic rug designs with a modern twist. View the Afghan Made Collection. The opportunities Matt Camron offers to create a custom rug that reflects a client’s vision are nearly limitless. The Matt Camron team readily works with clients seeking the perfect rug to complements their homes’ unique fabrics, paints and artwork. No size is too large; Matt Camron has successfully fabricated rugs as large as 24 x 36 feet. Whether starting from scratch or referencing a photo or existing design, a creative meeting with a master designer will result in a digital rendering. Once the rendering is approved by the client, Matt Camron then sends the design to dedicated weavers in Afghanistan, Egypt or Nepal. Within weeks, weavers will send a strike-off back to the Matt Camron offices for review. No project is considered complete until the final product completely satisfies the client. For custom inquires, please contact houston@mattcamron.com. Matt Camron’s expertise is often enlisted for large commercial projects ranging from hotels to corporate offices and country clubs. 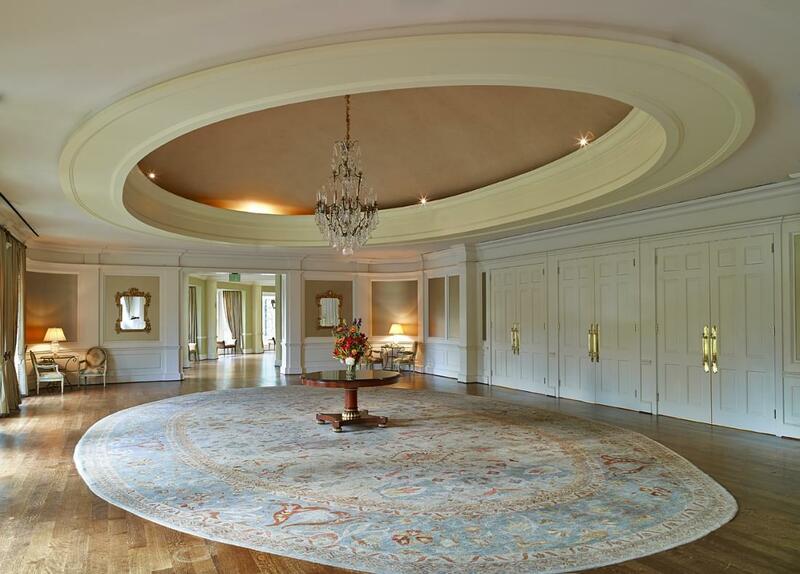 Matt Camron rug designs can be seen inside the doors of the St. Regis in Aspen, the Ritz Carlton’s penthouse in Chicago, La Barca Blu Hotel in Switzerland, the Petroleum and the River Oaks Country Clubs in Houston. The same process of customization is followed, regardless of the scope of the work. For commercial inquiries, please contact houston@mattcamron.com.